Food in Denmark and the Nordic region have gained international attention all these years. Credit goes to the Danish chefs who are very skilled in utilizing the natural resources in their native land from vegetables to wild game to fish. Denmark’s capital Copenhagen is home to 11 Michelin star-rated restaurants making the city the center for first class dining experience. Herring is a specialty of many restaurants as well as the smorrebrod which literally means butter bread. 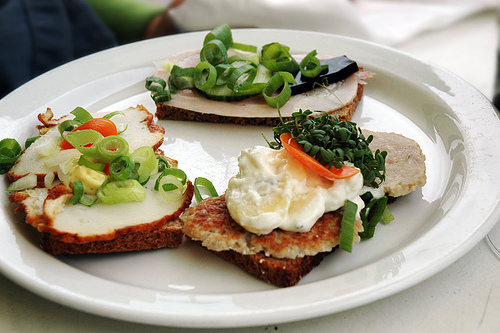 For a taste of this traditional Danish open sandwich, lunch is the best time to savor it. You have several options to experience this bread – one at the Aamanns Restaurant in Oster Farimagsgade Street which serves a variety of traditional dishes or at the Slotskaelderen hos Gitte Kik which is frequented by political figures. If you’d like your smorrebrod served on real Danish porcelain, the best place is the Royal Copenhagen flagship store. Since 1775, this store has been producing some of the world’s finest porcelains and now, it has its own The Royal Café which offers both traditional and modern food. At this café, you will get to taste a truly authentic smushis or smorrebrod with a Japanese twist. What’s interesting here is that other than the different smushis you can select, you will also have the chance to choose the porcelain style you want your food to be served on. 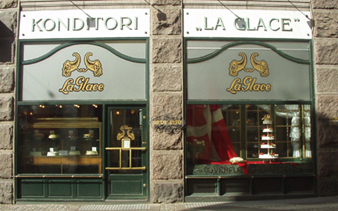 For those with a sweet tooth, the best and the oldest confectionary to get your desserts is the Conditori La Glace. Founded in 1870 right in the heart of Copenhagen, this place is known for its delicious cakes. One of its specialties is the sports cake which has been produced since 1891. Another place to taste great cakes is the café of the Ny Carlsberg Glyptotek museum. Served here are homemade cakes and fruit tarts which you can enjoy in a unique Winter Garden setting that feature palm trees and exotic plants.